Frances Hazel Langerud, 87, of Paris, passed away April 1, 2019 at Monroe Manor in Paris. Frances was born in Algona, Iowa February 24, 1932, a daughter of William Henry Harrison, Sr. and Hazel Markla Harrison. She married Albert Langerud February 24, 1950 in Leland, Iowa. She was the owner and operator of the Snoop Shop in Paris for many years and was a talented ceramic and porcelain artist and shared her creativity with many friends and family members. She also operated a kennel for many years providing enjoyment to many families with pets she had raised. Frances was a member of Mt. Airy Baptist Church and loved studying the Bible. 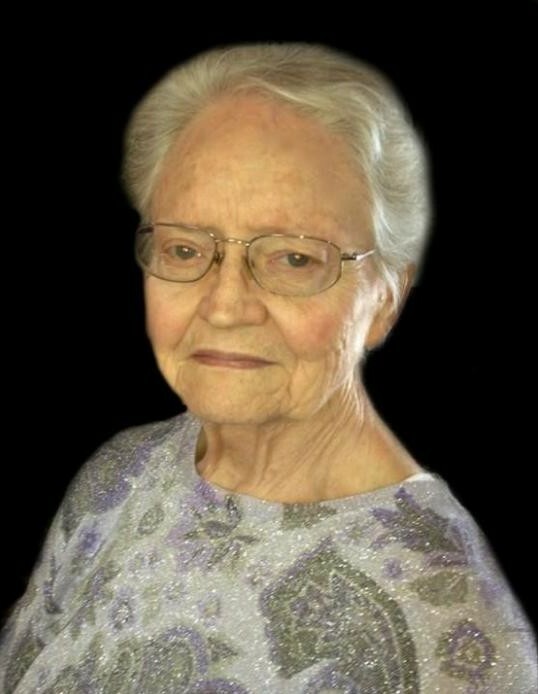 She taught Sunday School for over fifty years. Frances and Albert enjoyed traveling and helping with mission work in the western United States. As a couple, they were generous, giving of themselves and their talents and opening their home to many in need and some who even became family. She was an avid supporter of American Veteran’s Groups and had received special recognition for that support. Most of all she loved and was loved by her family. One way she shared that love for many years was gathering her family together each Christmas Eve for her homemade pizza, sharing her sense of humor and having fun. Frances is lovingly remembered by her husband of sixty-nine years, Albert Langerud of Paris; her children, Debra (Richard) Hoffman of Montverde, Florida, Hazel Kinder of Paris and Cynthia (Jack) Dameron of Cabot, Arkansas; daughter-in-law, Judy Langerud (Terry McMillen) of Paris; sister, Alice (Vernon) Yager of Sturgeon; two sisters-in-law, Marilyn Harrison of Monroe City and Martha Harrison of Perry. Also cherishing her memory are her much-loved grandchildren, Albert Gus (Shawna) Langerud, Katie (Matt) Wilson, Travis Langerud, Laura (Jason) Moore, Aaron Dameron, Amy Dameron, Michelle Dameron, Cody (Lexie) Hoffman, Amber (Wes) Herndon; fifteen great-grandchildren; three great-great grandchildren and many nieces, nephews and friends. In addition to her parents, she was preceded in death by her son, Dennis Langerud; three grandchildren, David, Paul and Jonathan Kinder; son-in-law, Steve Kinder; three brothers, William “Pete” Harrison, Jr., Dean Harrison and Robert “Bob” (Delores) Harrison. Services honoring Frances’ life will be held at 11:00 AM, Thursday, April 4, 2019 at Mt. Airy Baptist Church, 15013 Monroe Road 989, Paris, Missouri, with Rev. Dan Campbell officiating. Visitation will be one hour prior to the service at the church. Interment will follow at Walnut Grove Cemetery in Paris, Missouri. Memorial contributions are suggested to Mt. Airy Baptist Church or Disabled American Veterans. Arrangements entrusted to Bach-Yager Funeral Chapel, Columbia, Missouri.